Satrapi was the intelligent yet outspoken child of radical Marxists and the great-granddaughter of Iran’s last emperor and her childhood was always entwined with Iran’s history. As a graphic novel memoir, Persepolis follows Satrapi’s childhood in Iran during the revolution of 1979 and the Iran-Iraq War, to her adolescence in Europe and how she copes being so far from her family and her home. There’s so much about Iran’s history and politics that I don’t know – I don’t have a very good understanding of what’s been happening in Iran recently, never mind what was happening in the country just under 50 years ago – but Persepolis did such a good job of shedding light on what growing up in Iran during a revolution and a war was like. The young Satrapi is constantly learning because the rules of her country are constantly changing. Persepolis is almost a crash course in Iran’s recent history and it’s a great introduction as you learn so much about what happened from someone who lived it. That being said, there’s still many elements that could be explored more but as it focuses on Satrapi’s experience rather than an expensive history, it’s understandable why there’s some gaps to what was happening between countries like Iraq and Iran, and Iraq and Kuwait and how countries like the USA and Britain were really involved. Besides growing up in Iran, Satrapi also moves to Austria when she is a young teenager. She moves there alone, with no family and a limited grasp on French. In some ways Satrapi enjoys the freedom that Austria offers her compared to Iran but in others, she doesn’t feel like she understands how society in the West functions or if she fits in. That’s what Persepolis is about really. It’s about a young girl who becomes a young woman and how she slowly discovers through trial and error who she really is and where she feels like she belongs. She may make different friends along the way and even have boyfriends but the one constant in her life, even when she was miles away from them, was her family. The relationship between Satrapi and her parents and grandmother is a wonderful element of the book and seeing how they all influenced her and helped her grow was really interesting and lovely. The art style in Persepolis is relatively simple but effective. It’s all black and white and most of each panel is often made up of a speech bubble. The art style works because while it’s about difficult and complex topics, the language is also simple. This is because most of the book is from the perspective of someone who is twelve or a young teenager who may think she knows everything but really doesn’t. Persepolis is a fascinating read about the difficulties of growing up in a war torn country and finding where you truly belong. It’s sometimes funny and often sad but it’s always enlightening. 4/5. Top Ten Tuesday is a feature run by BrokeAndBookish each week – I’m thinking I might not take part every week but just see if a week takes my fancy. This week is all about our Autumn TBR’s so here are the books I want to read before the end of the year. I have a few challenges to complete by the end of the year so some of these books will go towards them and I also want to read more books by women as I wanted to my reading to be a 50/50 split between male and female authors but at the moment I’ve read more books from male authors. This would fill the “contemporary romance” section of the Eclectic Reader challenge. I’m not a big fan of contemporary romance but I’ve heard nothing but good things about Anna and the French Kiss and I always like reading a fun, quick read in between more dense stuff. I’ve started The Lunar Chronicles series by taking part in the #TLCReadAlong and now I’m really looking forward to seeing how the series comes to an end. I still have Cress and Fairest to read but the excitement around Winter is definitely getting to me. 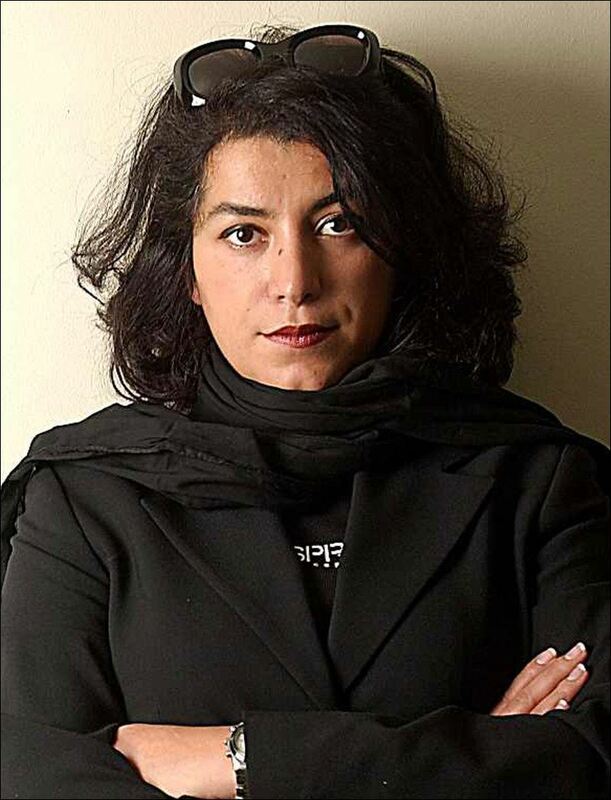 Marjane Satrapi is a director and writer and has made four films so far. The only film I’ve seen of hers so far is The Voices (2014) which is a dark horror comedy starring Ryan Reynolds, Gemma Arterton and Anna Kendrick. I saw it a couple of months ago and I loved it. It’s seriously weird and funny and walks a fine line between being clever or offensive. 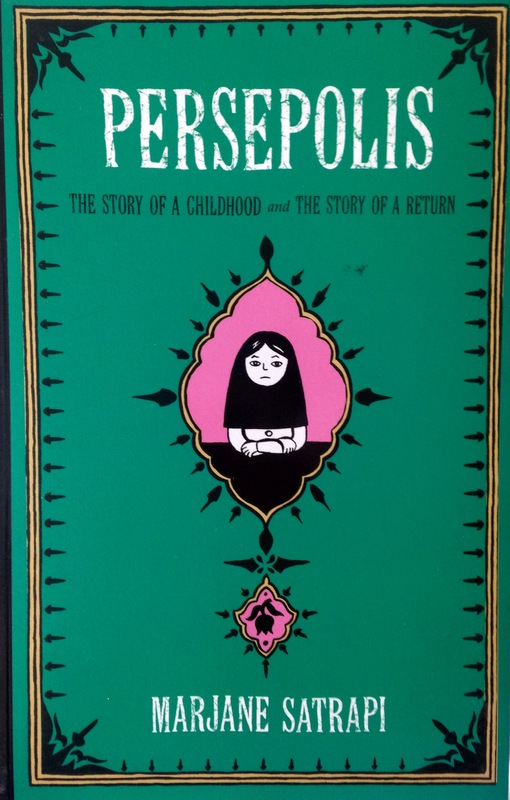 I recently bought the graphic novel Persepolis which she wrote and is about her early life and own experience in Iran during and after the Iranian revolution. I know nothing about the Iranian revolution so I think reading Persepolis would be a great way to learn more about it and at the same time I’d be reading a graphic novel that is critically acclaimed. Marjane Satrapi also directed the animated film adaptation of the book and it got nominated for an Oscar so once I’ve read it I’ll definitely be checking out the film. I actually met Marjane Satrapi quite recently through my work. She was hilarious and such a nice, fun and happy person and seemed to really love her films and was happy to talk to the “little people” which made me like her instantly. Jerry (Ryan Reynolds) works in a bathtub factory in a small town and just wants to fit in – though hearing his pets talk to him doesn’t really help him much. He becomes interested in his colleague Fiona (Gemma Arterton) but his interest takes a deadly turn and his life spirals out of control as he struggles to deal with the consequences of his actions. His dog Bosco tries to be the voice of reason while his cat Mr. Whiskers encourages Jerry to do evil deeds. 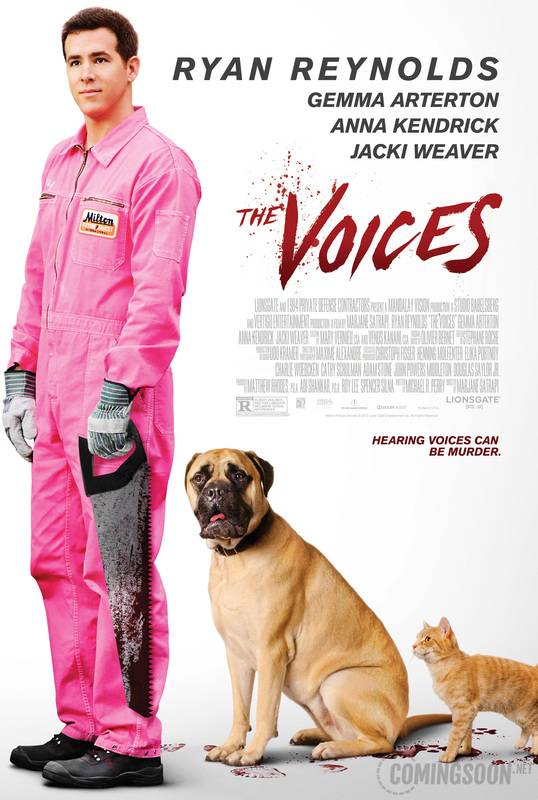 The Voices is a tough film to talk about as it doesn’t really fit any typical genres, it’s a dark comedy but it’s also a horror film and it deals with mental illness too and its tone shifts from one aspect to another within a blink of an eye. Some people will hate that, some will love it – I was one of the later. It’s also a hard film to talk about as it’s hard not to go into spoiler territory – if anything it’s best going into The Voices knowing as little as possible. Ryan Reynolds is brilliant as Jerry as he manages to balance his dark side with his earnestly wanting to be good. He manages to make a guy who is a killer somewhat sympathetic, which is definitely a weird thing to feel when watching a film about a murderer. I think this is one of Reynold’s best performances to date (I haven’t seen Buried) and it’s something that definitely shows his range. The Voices also stars Anna Kendrick as Lisa, one of Jerry’s work colleagues who fancies him and she’s incredibly sweet and naïve. Her scenes with Arterton and Reynolds are great and really all three off the main cast bounce off each other really well but this is Reynolds movie. I can’t not talk about Mr. Whiskers and Bosco – they are both incredibly funny and in the case of Mr. Whiskers enjoys to swear a lot. Their interactions with Jerry are some of the highpoints of the film. The Voices is funny, dark, weird and stylised. Some will love it, others will hate it. The allusions to mental illness and schizophrenia may rub some people the wrong way but I think it was handled pretty well. The sudden shifts in tone were sometimes jarring but did add to the overall feel of the film. 5/5. I’ve put the trailer in my review because that’s what I normally do but I’d really recommend not watching it as it does give some surprises away.